The Aging and Disability Resource Center (ADRC) is supported by the Administration for Comunnity Living (ACL), and the State of Louisiana. 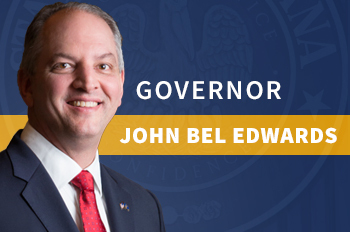 The Louisiana Governor's Office of Elderly Affairs is the policy-making body that oversees the work of the project. * enable policy makers and program administrators to effectively respond to individual needs, address system problems, and limit the unnecessary use of high-cost services. The ADRC hosts the LouisianaAnswers and SenioRX Web sites, which provides information about long-term planning and facilitates access to resources and provides assistance with obtaining low cost or free prescriptions. All Louisianans, especially older adults, caregivers, persons with disabilities and parents of children with disabilities, now have easier access to local, state, and national resources through one comprehensive Web portal, Louisianaanswers. Additional presription assistance with medication may be located through the Pharmaceutical Manufacturer Patient Assistance Progams. At the LouisianaAnswers Web site, users can readily gain information on health, family, legal, finances, community support, environment, and life’s transitions, medicare, medicaid, prescription assistance, insurance counseling and other issues associated with aging and disablity. Depending on their particular needs, users may, at any time, search for services using Louisiana's 9 regional ADRCs, statewide information and referral databases or connect by phone to information specialists using an 800 number. * implement this process through collaboration, enhanced information and referral resources, and the establishment of the position of long-term support options counselors. For more information on the ADRC project, contact Sharon Buchert at SBBuchert@goea.la.gov or call 1-877-340-9100. To get ADRC regional office's click here, ADRC Regional Offices.